Larsen & Larsen Auction Co.
Larsen & Larsen Auction Co. is based in Sioux Falls, SD. Owner Jonathan Larsen wanted to expand his business into Nebraska, especially the Omaha area. 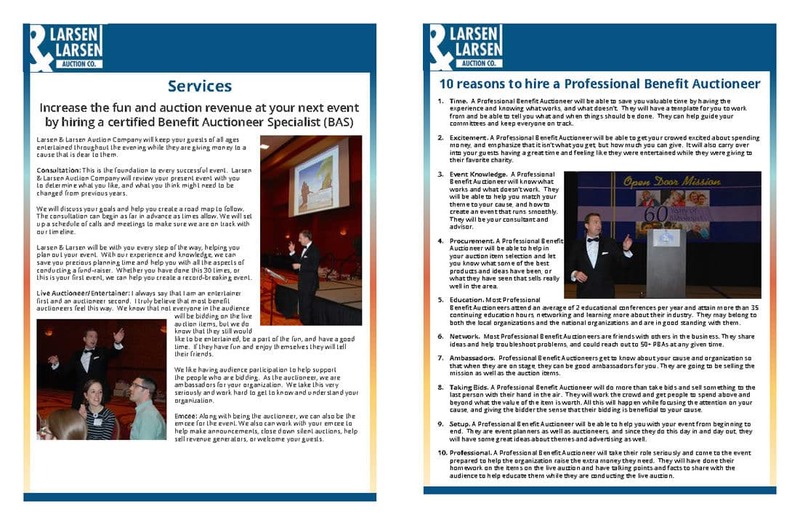 Catena Creations created a press kit for the company which includes a bio, description of services, testimonials and company information, as well as photos from a successful Omaha auction. We then executed a public relations plan to distribute the press kit to Omaha media and philanthropic organizations. In addition, we created a template for future proposals for work.